Group DF - international group of the companies, major investments are concentrated in the nitrogen, titanium and gas businesses. In 2017, the Nika-Tera Sea Specialized Port has processed 229 vessels, handling 4.17 million tons of cargo, which is almost 4% more than in 2016. Grain cargo prevailed in the structure of the total cargo turnover in 2017, as well as a year earlier. The share of cereals amounted to 62.4% (more than 2.6 million tonnes), which is 7% more than in 2016. The transhipment of bulk cargo amounted to 1.355 million tons, exceeding the similar indicator of 2016 by 6.5%. In particular, refractory clay was the prevailing bulk cargo. The transshipment of this product in 2017 has increased by 11% – from 1.12 to 1.24 million tons. The Head of Nika Tera port, Alim Agakishyev noted that the steady growth dynamics of transshipment of agricultural crops in 2017 was the result of system investment policy, as well as the introduction of a new operational and management model at the port. "In 2017, total investment in the development and modernization of the port's capacities amounted to UAH 286 million. The largest projects implemented for the past year were the launch of a modern liquid bulk transshipment complex and the commissioning of an additional loader of a grain complex with a capacity of 1500 tons per hour, Alim Agakishyev said. This allowed us to increase significantly competitiveness and increase turnover of agricultural crops. 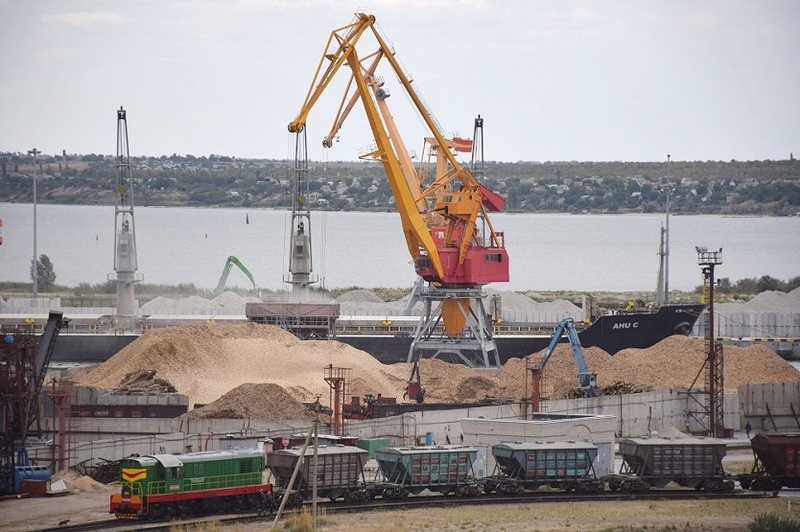 The share of the port in grain transshipment in the region last year was 23%, and this means that almost every fourth ton of grain exported by the port operators of the Mykolayiv region was accounted for Nika-Tera". In particular, in 2017 Nika-Tera began to work with peas for the first time, and by the end of the year the port processed 53% of the total volume of this crop among all Ukrainian ports, overloading about 170 thousand tons of peas. Transshipment of corn increased by 14.7%, amounting to 1.3 million tons. According to Alim Agakishyev, since the port has got the new owner - Group DF company of businessman Dmitry Firtash and the infusion of major investments into the construction and development of a new grain complex, Nika-Tera has managed to increase grain transshipment fivefold since 2011. In addition, following the results of 2017, the company remains one of the largest taxpayers in the Mykolayiv region. Over the past year, Nika-Tera has transferred 252 million hryvnia of taxes, fees and other payments to budgets of different levels. In particular, for the year, the local budget received 36.3 million hryvnia, while payments to the state budget of Ukraine from the company amounted to 215.7 million hryvnia. In addition to paying taxes, Nika-Tera continues to pursue an active social policy. In 2017, the amount of allocated funds for the implementation of corporate social responsibility projects exceeded UAH 1 million. Priority areas, as before, remained city improvement, sports development, as well as system support and charitable assistance to veterans, schools, other educational and medical institutions of the region. From 2011, the Group DF's investments in the development and modernization of the Nika-Ter port's capacities exceeded 1.5 billion hryvnia.